Never having made German food before I decided to follow this recipe exactly. 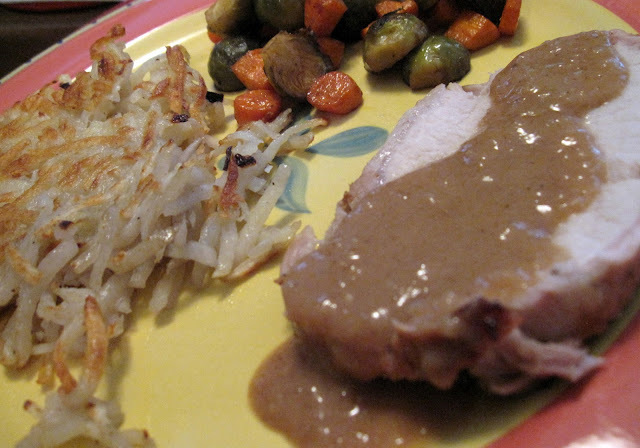 This pork roast was flavorful and juicy. The beer sauce had a very different flavor but it was absolutely delicious. Perfect with potato pancakes and oven roasted brussels sprouts and carrots! Melt 2 tablespoons of butter in a heavy large saucepan over medium-high heat. Add the onion and sauté until tender and golden brown, about 15 minutes. Add the garlic, cumin, cinnamon and allspice and stir for 1 minute. Add the beer, mustard and honey and bring to a boil (the sauce will foam). Remove from the heat. Puree in batches in a blender until smooth. Cool to room temperature. Pour into a baking dish. Add the pork loin; turn to coat. Cover and refrigerate for 8 hours or overnight, turning occasionally. Preheat oven to 375 degrees F. Remove the pork from the marinade; pat dry. Reserve the marinade. Heat the oil in a heavy large skillet over medium heat. Season the pork with salt and pepper. Add to the skillet and brown on all sides. Transfer to a baking sheet with rim. Roast in the oven for 3/4 to 1 hour or until a thermometer inserted into the thickest part registers 155 degrees F. Transfer the pork to a work surface; reserve any pan juices. Combine the pan juices and the marinade in saucepan. Bring to a boil. Reduce the heat to simmer. Mix the butter and the flour in a small bowl until a smooth paste forms. Add to the sauce and simmer until the sauce thickens. Season to taste with salt and pepper. Cut the pork into slices. Pour the sauce over. 1. Pound the meat until it is less than 1/4 inch thick. 2. Into a large skillet, pour oil approximately 1/4-inch deep; heat until the oil bubbles when you drop in a pinch of breadcrumbs. 3 Beat the egg, add 1 teaspoon of lemon juice. 4. Add the parsley to breadcrumbs. 5. 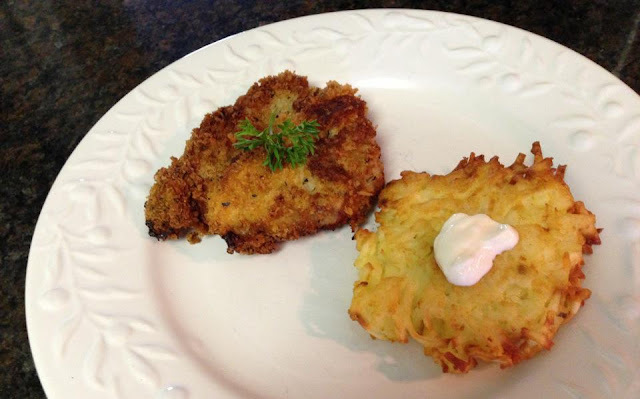 Dredge the meat in the egg, then the breadcrumb mixture; fry until golden brown on each side. 6. Sprinkle with the remaining lemon juice. 1. In a medium bowl, stir the thawed potatoes, onion, eggs, flour and salt together. 2. In a large heavy-bottomed skillet, over medium-high heat, heat the oil until hot. Place large spoonfuls of the potato mixture into the hot oil, pressing down on them to form 1/4 to 1/2 inch thick patties. Brown on one side, turn and brown on the other. Let drain on paper towels. Serve hot, with optional dollop of sour cream. Mix all together. If it seems too wet add more flour or crumbs. Heat a large heavy skillet and add about 1/4 inch oil. Drop in potato mixture and flatten with the back of the spoon. Fry on both sides until crisp and brown. Serve at once with sour cream or applesauce. This is a very forgiving recipe – more potatoes or less, more crumbs or less, and it is still good. As a child, my family spent a lot of time in New Braunfels Texas. My parents also lived in the area for several years after they retired. It is a small German town between San Antonio and Austin. New Braunfels was the best place to swim in the cool waters of the Comal River, the best place to shop at the Outlet Malls and the best place to get authentic German Food. The restaurant we went to is no longer there, but I have wonderful memories of their Schnitzel, Red Cabbage and German Bread. Oktoberfest is a fun celebration that takes place in early fall, so I said "vouldn't it be vunderful to celebrate with a challenge in 37 Cooks!" I hope you will roll out the barrel and join us for a barrel of fun! Place each slice of meat between plastic wrap and pound it thin, so that you have thin slices (about 3" x 8") to work with. Sprinkle each side of meat with salt and pepper. Spread 1 tablespoon of spicy mustard over each slice. Take a heaping tablespoon of the chopped onion and pickle and spread across each slice. Divide the garlic between all four slices. Beginning at the bottom, roll each slice up. Wrap a slice of bacon around each. Keep the seam on the top and secure slices with at least 3 toothpicks. Heat olive oil in large skillet with lid. Place the Rouladen seam side up in hot oil and brown. Gently roll from side to side. You won’t be able to get your top brown because of the toothpicks. When browned, add half a carton of the beef broth to your skillet. Bring to boil, then reduce heat to low, cover and simmer for 45 minutes. Check frequently and add a little water as the liquid cooks down. The broth/water level should go up about half way up on the Rouladen. Do not cover completely with liquid! After 45 minutes, remove the Rouladen from the pan and place on a paper towel lined plate. Turn the heat up to high and reduce your liquid to about ½ cup. Reduce heat to medium and add butter. When the butter is melted, add flour and whisk. You want the flour to be a nice dark brown color. Begin to slowly add remaining beef broth, whisking to incorporate and to avoid lumps. If additional liquid is needed, add water. When you get the thickness you prefer for your gravy, turn the heat off. Place the Rouladen on a serving plate and cover with gravy. ** For a delicious spicy version, use pickled jalapenos instead of dill pickles. The amount you want to use depends on how spicy you would like it to be: 1 teaspoon - mild, 2 teaspoons - spicy and 3 teaspoons - on fire! Place in crock pot in the order listed above. Cook on high for 1 ½ hours. Turn crock pot down to low and continue to cook for an additional 3 ½ hours. Drain liquid and serve. Hi, everyone! My name is Linda Mire. My life has changed so much over the last few years. Definitely a lot to take in! My days are now spent participating and serving as an administrator in a cookbook group, participating in challenges in 37 Cooks, and bargain shopping. I love decorating with vintage items and secondhand furniture! My children have given me two cute grand puppies that were rescued from shelters. While I truly adore them, I can’t wait for a cute little boy or girl to love and spoil. My husband and I love to travel. We love going to visit my daughter in college. We have also taken two amazing trips to South Dakota/Wyoming and to Maine since he has retired. He now shares in my hobby of cooking. Prior to retirement, I was a licensed Independent Insurance Agent. I started as file clerk for an insurance company right out of high school and I worked my way up the ladder, holding various positions at companies and agencies. My cooking was not so great during those years because I juggled all of my children’s activities and my own work schedule and professional activities. I now love sharing healthy recipes with my family. My son and daughter are joining in on the fun and learning to cook healthy too. We have all learned that cooking at home is a much better option. 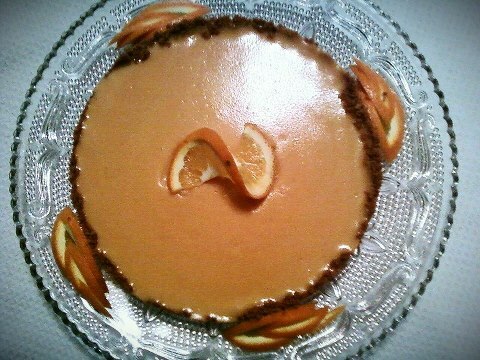 If I had one cooking wish granted, it would be to have the amazing baking talent my Grandmother had. Everything she did was by scratch and she never used a written recipe. It was all stored in her heart and baked with all the love she had for us.. I recently started a blog called Seasons and Seasoning to capture my journey as I add touches of seasoning to all the many seasons of my life! Hey you guys! Guess who made a pie? This girl! I am a self-titled NON-baker! No desserts come from my kitchen. But, I did it… and I’m not ashamed to say that I used an easy-peasy recipe and took some help from the store, because, well, I made a pie!! I used a Betty Crocker recipe, which I got from my cousin who said that everyone loved it when she made it. I love coconut so this was a no-brainer for me, and by adding a few more ingredients I made it taste like my favorite candy bar. Heat oven to 350 degrees. Mix all ingredients in a bowl until well blended. Pour mixture into a greased pie plate. Bake about an hour or until nicely browned and when you insert a knife into the center it comes out clean. 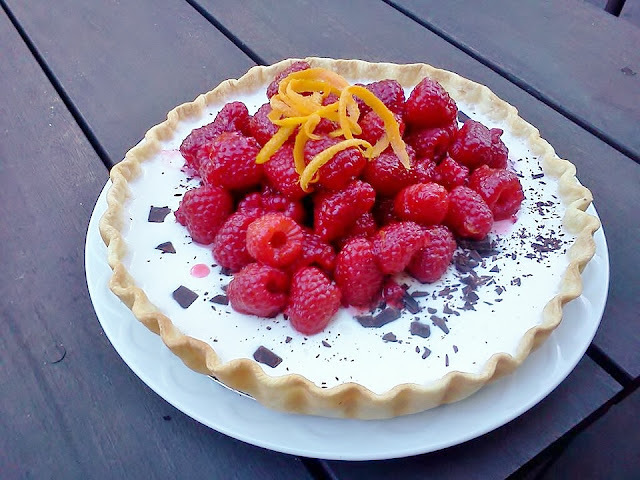 Let cool for a bit and eat and enjoy! When Carrie's Pie Challenge first hit the 37 Cooks scene, I was worried. I can't make pie! Pie is really, really hard! Then I made a couple pies and realized it's not that hard. I am Worst Case Scenario Girl. So then I started wondering if there were any famous Atlanta pie shops. Being fairly new to Atlanta and being a Thanksgiving-only, pie-eating kinda gal, I had to google. And I came up with Pie Shop. I saw right off it's owned by a gal names Mims. Mims? Best name ever! This blog post sealed the deal for me. Pie with gingersnap crust? 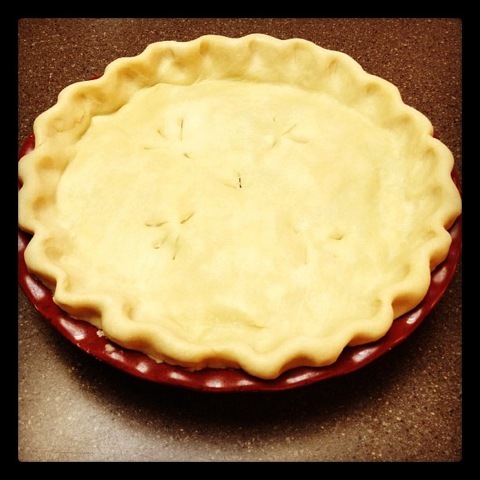 Pie with apples, my husband's favorite? Pie with BACON? Let's go! 1. Make the crust: Preheat the oven to 350°. In a medium bowl, fold together the crushed gingersnaps, melted butter and sugar. Press the mixture into a 10-inch pie pan until flat and even. Place in the oven and bake for 15 minutes, until the edges start to set, then remove from the oven and set aside to cool completely. 2. Make the filling: Thinly slice the apples. Place them in a large bowl and drizzle the lemon juice over the slices. In a small bowl, combine the cinnamon, cloves, nutmeg, sugar and 2 tablespoons flour. Fold the mixture into the apples until the apples are just coated. Spoon the apples into the crust. 3. Make the topping and bake the pie: Increase the oven temperature to 375°. In a medium bowl, combine the flour and brown sugar. Using your fingers or a pastry cutter, mix the butter into the flour and sugar mixture until pea-size clumps form. Crumble the cooled bacon and add it to the flour mixture. Sprinkle the streusel evenly over the top of the apple filling and place the pie in the oven. Bake until the top is browned and the apples are tender, about 45 minutes. Serve warm or at room temperature with Blue Bell Homemade Vanilla Ice Cream. *We cook our bacon in the oven at 350 degrees for 25-30 minutes. We take a rimmed baking sheet and cover it with aluminum foil (for easy cleanup) and put a cooling rack in the backing sheet. Then add your bacon slices and you're ready to go. No mess and no watching the bacon to make sure it doesn't burn! That said, you can cook your bacon any way you like. This may look like a fancy dish, but it's incredibly easy - especially if you cheat like I do and use frozen puff pastry. The tomatoes come from our garden; in the heat of summer our tomato plants are so prolific that there's no way to eat them all fresh! So instead, we roast them and pack them in oil to save them for whatever our needs may be. Roll out puff pastry to a square with 1/4" thickness. Trim the edges with a sharp knife so it forms a perfect square. Cut a 3/8"-1/2" border around the square, leaving two opposing corners still attached to the main body of the pastry. Lift one of the unattached corners and fold over to the opposite inside corner, attaching the edges with a bit of water. Do the same with the other corner. Prick the inside of the tart evenly with a fork. Bake on a cookie sheet for 18-20 minutes, then let cool for 10 minutes. Spread a layer of ricotta cheese on your tart. Sprinkle with torn or chiffonaded leaves of basil. 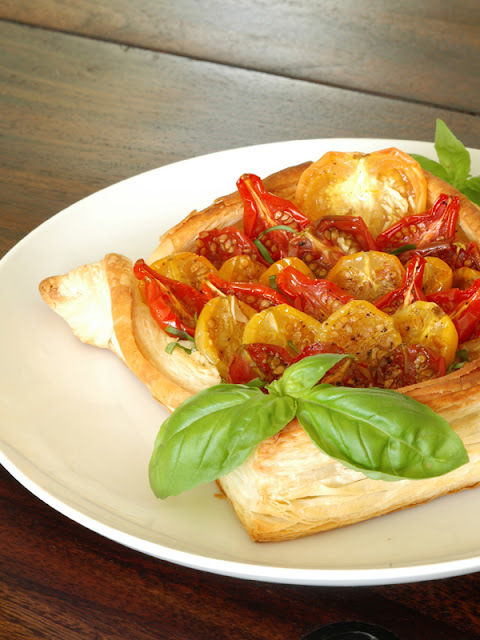 Arrange a layer of cherry tomatoes on top. Finish with a pinch of salt (I used Anglesey sea salt; Maldon would be lovely too), and serve. Honestly, that's it - roll, trim, bake, fill. I know, right? So simple - which leaves you more time to relax, eat, and hang out with your loved ones - after all, that's the best part of the meal. I made two pies - one strawberry, one cranberry walnut. While baking said pies, a piece of crust fell off and was smoking and burning in my oven, so I took them both out and turned off the oven so I could clean it. I was impatient and wanted to finish my pie so I put the cranberry in the toaster oven to finish. Normally I keep checking to make sure it doesn't burn, but I set the timer, got distracted and forgot about it until I heard the "ding".. pulled it out and of course it had burned... threw that pie away. Put the strawberry pie in, watched it this time, came out perfect. Refrigerated overnight. The next day, I wanted to take it to my Aunt's. My sister rode with me and she held the pie. About 10 mins on our way, the pie started melting!! It was dripping all in her purse and in my brand new SUV!! So I quickly pulled into the parking lot of a business center... no trash cans outside. I didn't want to go inside and ask them to take and dispose of (or eat) a melting pie... so we stashed it in the bushes and left it for the birds. The End. Combine all ingredients except the apples in a bowl. Mix well, then toss the apples in the mixture. Put the apple filling into the unbaked pie crust. Use a pastry blender to cut the butter into the four and sugar, mix until crumbly. Cover the apple filling with the crumb topping. Yes, you really do put the pie inside a brown paper grocery bag. Once the pie is inside, roll up the the top of the bag and close it together with either staples or large paper clips. Place the bag on the lowest shelf in the oven. Bake at 350 for 90 minutes. Don't open the bag until the time is up and you have let it cool outside the oven for about 5 minutes. Serve with vanilla ice cream. So good! Here is how I make the CPP. I use the recipe in the Betty Crocker cookbook I got as a wedding gift in 1985. Mine says it’s Copyright 1978, 1969 and it’s the Ninth Printing, 1983. Heat margarine over low heat until melted. Blend in the flour, onion, salt and pepper. Cook over low heat, stirring constantly, until the mixture is smooth and bubbly; remove from the heat. Stir in broth and milk. Bring to a boil, stirring constantly. Boil and stir for 1 minute. Stir in the chicken and frozen vegetables; reserve. Prepare Celery Seed Pastry. Roll 2/3 of pastry into 13-inch square on a lightly floured cloth-covered board. Ease the pastry into a square pan, 9x9x2 inches; pour chicken filling into the pastry-lined pan. Roll remaining dough into an 11-inch square; place over the filling. Roll the edges under; flute. Cut slits in the center to allow steam to escape. Bake uncovered in 425° oven until crust is brown, 30 to 35 minutes. 6 servings. Cut the shortening into the flour, celery seed and salt until particles are the size of small peas. Sprinkle in water, 1 tablespoon at a time, tossing with fork until all the flour is moistened and the pastry almost cleans the side of a bowl (1 to 2 teaspoons water can be added if necessary). Gather the pastry into a ball. My notes on the pastry: When I made it today, I omitted the celery seed but I LOVE it with celery seed. It just gives it a little extra something. I often use a round pie pan – I have a big one, it seems bigger than normal, and if I use a square pan, that one seems bigger, maybe 10x10, too. So I usually make that recipe for the pastry times 1.5 so half again – instead of 2 cups flour, I use 3 cups flour, etc. And with me using extra chicken and veggies, a bigger pie is perfect. I would also rather have to trim off a little extra pastry than to not have enough to make a nice pie. It looks ugly when I try to stretch it too far. For all my pastry making, I use shortening for the fat. A couple of us in my family have trouble with butter in the pastry for some reason (I mean gastric distress kind of trouble, lol) so I use shortening. I prefer butter if possible for everything but the only time I use shortening is for pastry and biscuits. Did you see the movie The Help? And the part about Crisco? That cracked me up because my mother went through one of those big cans EVERY week when I was growing up. Almost everything was fried. But we weren’t unhealthy or overweight so I’m not sure what all that means… but where was I? Oh yeah. I first measure my dry ingredients into my bowl and I use a whisk to mix them up – whisk is a good tip for mixing dry ingredients for any baking recipe. Then I cut in the shortening using my pastry cutter. It works pretty well but you can also use two knives (table knives are fine). I pretty much follow the recipe – when the particles are about the size of small peas I stop. Better to stop a little early than go too long with pastry. It doesn’t like to be handled overly much or it gets tough. Remember that. Tough pastry is not flaky or delicate. Then it’s time to add the water. I use ice water meaning I have a cup with ice cubes and water in it and I measure my water right out of that cup. Cold water is important. And if you use butter instead of shortening, cold butter is important. I add one tablespoon of water at a time and use a fork to toss it around. It doesn’t seem to be doing much those first couple of tablespoons but just do it one at a time – add water, toss around, add water, toss around. I think the reason it’s not exact on the amount is because it can vary due to the humidity when you make it. If that’s not the reason, it sounds good, right? Then when it just starts to come together, you stop adding water and gather it up in a ball. You want it to stick together, not be too crumbly, but not too moist, either. With practice, you get better at knowing when to stop adding water. Then I sprinkle some flour on my counter (my very clean counter, of course). Sometimes I use a pastry cloth that I have but the counter works fine and cleans up fine. I have some of that Corian counter stuff. My last house had granite and I rolled out some dough right on it and it stained my counter. I was not happy. The Corian doesn’t stain so I like that, even though it’s not as pretty as the granite. I do divide up the dough about like the recipe says – around 2/3 of it for the bottom crust and 1/3 for the top crust. Then I take the 2/3 part and form it into a big fat disc shape on the floured counter, sprinkle a little flour on top of it and then I get my French rolling pin and start rolling it out. I absolutely love my French pin – I know I’ve told you this before – but I think it does a much better job for me than my standard rolling pin. Something about how it “eases” out the circle – it’s magic! When I get it a couple inches or so bigger across than my pan is wide, I transfer it into the pan. Usually I just fold the dough lightly in half and pick it up and unfold it. If it tears a bit, that’s okay – you can dip your finger in water then mend it up pretty well. At this point the edges are hanging down all around and I put in the filling. Leave it and get your 1/3 part of dough and roll it out, maybe an inch or so wider than the pan. You can fold that one over and put it on top and unfold it over the filling. Then it’s time to seal it up. It looks best if you make your top crust roll over the bottom crust and fold under by the edge of the pan, so all the top is just a seamless piece of dough. Does that make sense? You know there are probably people on the Internet making pie crust and can explain it a whole lot better than me. Ha ha! If you have too much dough, you can pinch some off. Sometimes I have too much in some spots and too little in others so I’ll move some over and sort of mend it together where I need it. Just remember not to handle it too much. The more of that you do, the tougher it gets. It would be better to have an imperfect but flaky, delicate crust than to have a cosmetically perfect crust that’s tough – in my opinion. Then you should vent your crust before you bake by making some cuts with a knife. My mom made hen tracks in her chicken pot pie and so do I. You can also vent pies by using those little cookie cutters and then you can use the pieces you cut out to decorate the top of your pie. Lots of cute things people do. I usually get some strips of aluminum foil and form them around the edge of my pies before I put them in the oven to keep the edges from getting overly brown. I have some of those pie guards but they really only fit one size pie so they don’t work for everything. Then when there’s about 10 minutes left in baking I take them off so the edges can brown. This recipe freezes really well – I just freeze it unbaked. I will usually set it in the freezer unwrapped then once it’s solid wrap it up. Then when it’s time to bake I put it in the oven frozen but it does take about twice as long and you definitely want to protect the edges from burning then! You can check the temp inside with a thermometer to make sure it’s heated up all the way through. I can usually see that it’s bubbling, too. I have also doubled it and made it in a 13x9 dish and that works great, too. I think it’s pretty flexible. I have not tried using fresh vs frozen veggies but I bet it would be fabulous – I wonder if you’d have to precook them a bit first, though? I see I’ve written you a novel about chicken pot pie of all things. Hope that helps! 2. Toss together the tomatoes, jalapenos, garlic, cilantro, cumin, & lime juice. Add salt & pepper to taste. 3. In a large ovenproof skillet; preferably a cast-iron, melt the butter on low heat. Once melted, remove from heat. 4. In a bowl, mix flour, cornmeal, baking powder & kosher salt. Add the milk & stir until thick and smooth. Pour the batter over the batter. DO NOT STIR. Spoon the tomato mixture on top of the batter. Bake in the oven for 30 minutes, uncovered. Sprinkle with cheese and let the cheese melt in the oven for about 2 minutes. Preheat oven to 350 degrees. Pre-bake crust for about 8 minutes. Meanwhile, in a microwave safe bowl melt chocolate chips and butter at 50% power for 2 minutes or until butter is melted. Whisk until smooth, then whisk in salt, sugar, cocoa powder, vanilla and evaporated milk. Whisk in eggs last (if butter is hot and you add the eggs too soon they'll start to cook). Pour chocolate mixture into pre-baked crust and sprinkle chopped pecans all over the top. Bake for about 30 minutes or until filling has puffed but center is still wiggly (it will set when it's cooled). Cool completely and then refrigerate until ready to serve (best when served very cold). Enjoy this sinfully rich, chocolate-y goodness with homemade whipped cream (my husband says if there's no whipped cream there's no point in having the pie). 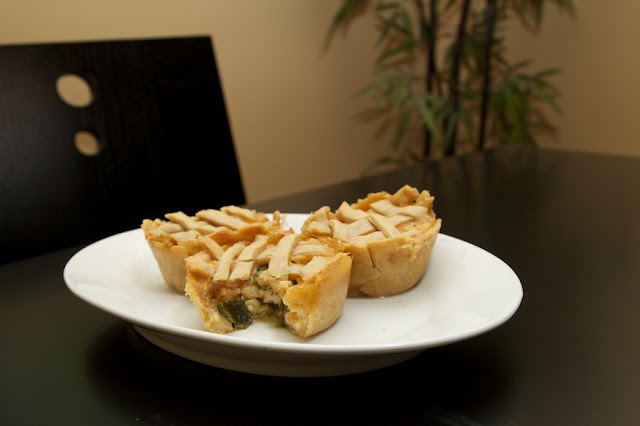 Tip: I always use a glass pie plate, but I used to have trouble getting the bottom of the crust browned. I read a great tip for solving this problem. If you have a pizza baking stone, put it in the oven while it's preheating. When you first put your pie in the oven place it on the stone for about 15-20 minutes, then remove the stone and finish baking pie. It works like a charm! This recipe came to mind for Carrie's Pie Challenge. Ok, it's not really a pie! But PIE is in the name and I bet you'll love it! pickled jalapeno slices, between 4 & 10 per burger, how hot do you like it? Heat a skillet over medium heat or fire up the grill. Add a little salt and pepper to each side of your patties. Don't want to over-handle the meat because it affects the tenderness of the burger. Cook your patties til they're like you like em. While you're frying or grilling your burger to desired doneness, toast your buns. To assemble, place your bun on a plate and add your burger patty. Add a slice of cheddar cheese, onion slices, jalapeno slices, Fritos, and pour a little (or a lot) of the chili on top. Eat. Well, Wegmans was out of cherries. That should have been my first clue as to how my plans were going to go. But I’m one of those cooks who can wing it and improvise. The raspberries looked wonderful, so I grabbed a pint of them. I did the Pillsbury Punt and used a refrigerated instant crust and THIS time used a timer. Duh. I blind baked the crust that evening and made the filling the next morning, topped it with the berries while home for lunch and brought it into work. Pouf! It was gone in three minutes flat. Faster than the Garlic Cheddar Chive bread I brought in the morning, which is saying something, because my co-workers love my breads. Adjust oven rack to lower middle position and preheat oven to 425°F. When oven is ready, line chilled pie shell with foil or parchment paper and fill with weights (I reuse dried beans for this), and bake on the lowest rack of the oven for 15 minutes. Remove weights and liner, turn pie, and bake until the bottom crust is a golden brown, about 10 minutes. Remove pie shell from oven and allow to cool completely. Place 1/4 cup cold water in a small bowl and sprinkle with gelatin. Allow to sit until softened, about 2 minutes. Add heavy cream, salt, and 1/4 cup sugar minus two tablespoons and 2 tablespoon of honey to a medium saucepan set over low heat, stir to combine and slowly bring the mixture to just a simmer. Once it starts to bubble on the edges, remove it from the heat and stir in the gelatin until it is completely dissolved. Stir in the buttermilk and vanilla. Pour the mixture through a fine mesh strainer into the pie shell and chill. About 30 minutes into chilling, add chopped chocolate to filling and continue chilling for at least 4 hours, until the filling has set. In a medium bowl combine berries, remaining sugar, remaining honey, juice and zest. Toss to combine and allow to sit for ten minutes, until the berries begin to become juicy and the sugar has dissolved. Top the set pie with the berries and serve. Or, you could always buy a pre made graham cracker crust. Whatever works best for you. 8 ounces orange cream soda; I used Stewart's brand, but as long as you are using the best quality orange cream soda you can find, it doesn't really matter. It does matter that you use a good quality one, because you will be reducing it and intensifying the flavor. 3 ounces orange juice. If you are juicing your own oranges, it takes about 2. 6 Tablespoons cold unsalted butter, cut into 6 pieces. Mix together the graham crackers, melted butter and sugar. Pat into a 8" pie pan. Bake at 300F for 10 minutes. Let cool completely. Pour the orange cream soda into a small saucepan over low to medium heat. Reduce the soda to a syrupy consistency. It should take about 7-10 minutes. You should end up with roughly 1 ounce of syrup. If you've reduced it too much, just add a few more ounces of soda and keep reducing. Let cool and add it to your orange juice. Bring about 1 1/2 inches of water to a boil in a pot that is slightly smaller than the diameter of the bowl you will be using for the sabayon. Meanwhile, in a large metal bowl, whisk the eggs, yolks, and sugar for about a minute, or until the mixture is smooth. Set the bowl over the pot of boiling water and, using a large whisk, whip the mixture while you turn the bowl (for even heating). After about 2 minutes, when the eggs are foamy and have thickened, add one third of the orange juice mixture. Continue to whisk vigorously and, when the mixture thickens again, add another third of the orange juice mixture. Whisk until the mixture thickens again, then add the remaining juice mixture. Continue whisking, still turning the bowl, until the mixture is thickened and light in color and the whisk leaves a trail in the bottom of the bowl. The total cooking time should be around 8-15 minutes. Turn off the heat, but leave the bowl over the pot of water. Whisk in the butter one piece at a time. The sabayon may loosen slightly, but it will thicken and set as it cools. Pour the warm sabayon into the crust and let sit to cool to room temperature, for about an hour. Then refrigerate for at least 2 hours before serving. My Grandmother made the best Apricot Fried Pies. I don't have a recipe because she did everything from memory. While she made everything from scratch, my recipe is something that is quick and very easy. The apricots are the star here, and these mini pies are very tasty and remind me of my Grandmother's. Unroll the pie crust and cut 10-12 circles using a biscuit cutter. Place 1 teaspoon of diced Apricots in the middle of each round. Fold over (making half-moons). Then go around the edges and seal, using the tines of a fork. Fill a medium fry pan with oil, about half way up. Heat the oil to 350 degrees. Carefully put the mini pies in hot oil. Fry in two batches, 5 to 6 at a time, so you don't crowd your pan. Fry for about five minutes, until golden brown, turning once. Drain on a paper towel and sprinkle with powder sugar. Pot pies are comfort food for many who harbor fond memories of tucking into a store-bought dinner in front of the TV. But they don't have to come from that orange box. Here, a traditional meal gets a modern makeover when chicken meets green chile. And for those who consider portion control paramount? These pies are baked in individual tins. Enjoy as many as you wish. Then consider freezing the rest for a busy night when you'd love to recreate your childhood pot-pie moments with a spicy, flavorful kick. First, make béchamel: melt butter over low-medium heat, then stir in flour. Stir constantly for 2-3 minutes, not allowing it to brown. Add milk and whisk until the roux is incorporated. Allow to simmer gently for 30-40 minutes until reduced to about 2 cups. Meanwhile, prepare the rest of the filling. In a medium saucepan, bring to a boil approximately six cups of salted water. Add diced potato and cook until tender - depending on your dice, maybe five minutes. Add corn kernels for the final minute of cooking. Drain and set aside. In a small skillet heated to medium-high, add canola oil and then chopped onion. Saute until onion is transparent and beginning to brown. Add onion to cooked potatoes and corn. Then, add the chopped chiles and chicken to the mixture. Stir to distribute. Somewhere around now, preheat your oven to 350F. When béchamel is reduced, season with salt, chili powder, and cumin. Add the chicken-veggie mixture and allow flavors to mingle over very low heat while you prepare the crusts. Roll out pie crusts. Using a round cutter, a small bowl, or glass, cut out circles to fit the space in your muffin tin. Press a dough circle into each hole. Save scraps; roll and cut them into strips or whatever decorative patterns you wish. Ladle filling into each mini-crust. Top pies with strips or shaped dough. Bake for 30-35 minutes or until crusts are golden brown. NOTE: Due to variation in different cupcake pans, you may end up with excess filling and pie dough. 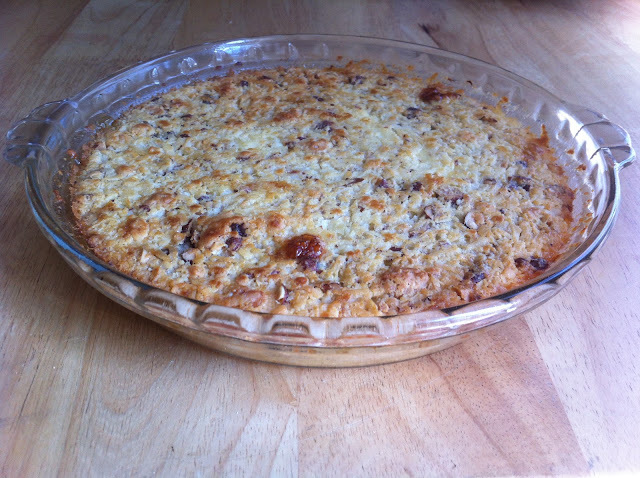 Feel free to use the leftovers to make a casserole: spoon filling into a baking dish of an appropriate size, then top with filling scraps and bake with the mini-pies. Alternatively, just make a standard 9-inch pie. It's less finicky, but not as cute. I'm sure you're wondering why in the world I'd take a picture when there's barely any pie left. I did it because it was the only choice I had! Either that or bake another pie! That's how fast this pie went. The description that it's a cross between a chewy cookie, peanut brittle, and pie is completely accurate. And completely delicious. When you have a hankering for pecan pie, I'd recommend you try this Peanut Pie at least once. Make your crust. You can use any recipe you like, including a pre-made one from the grocery store freezer already shaped in the pan and ready to bake. Willie likes this Perfect Pie Crust and I do too but I wanted to try Thomas Keller's and since Alexis had just used his in her Red and Black Plum Galette and raved about it, I decided to try it out. I'm glad I did. It rolled out like a dream! I liked it so much that I even went a little crazy and tried a decorative edge! That is so not me! But I recently pinned some some fairly simple looking ones on my Pinterest, so I thought, why not? It looked so pretty uncooked! But I'll admit to you right now that after blind baking, the decorative edge had all but disappeared. I'll have to work on that and get back to you! Preheat oven to 350º. Put the peanuts in a Ziploc and crush them by smacking them a few times with a meat mallet. You can use a rolling pin, but the meat mallet was actually kind of fun! In a medium bowl, lightly beat the eggs and then whisk in the sugar and flour until well combined. Add the corn syrup, peanuts, and melted butter. Stir well with a spoon. You can use the whisk but the peanuts will get caught up in it so I'd recommend a spoon. Pour the filling into the baked crust. The Virginia Diner says to bake for 45-50 minutes, or until the pie is a rich golden brown, set around the edges, but still a little loose in the center. I baked it about 10 minutes longer because it took my pie a bit longer to set to what I considered "a little loose in the center." So my recommendation to you is to start checking your pie and jiggling it at 45 minutes and then continue to cook in 5 minute increments til it's done. Cool to room temperature and then refrigerate. The original pie recipe doesn't call for refrigeration. This is a personal preference that we do with pecan pie so I just went ahead and did the same with the Peanut Pie. Glad I did. You can try yours at room temperature and then try it refrigerated and see what you think. If you do, please come back and tell me what you think!